Have you used commercial waste disposal before? There are many reasons to make your business greener. The main advantages are: helping both the environment and your bottom line, and improving reputation/customer relations. We’re not here to talk you into going green; if you’re here already, you know how important it is. Today, we want to share several activities you can adopt to make your business eco-friendlier. Powering down at the end of the working day is better for the environment and it will reduce energy bills significantly. Whether you have an office or a shop, turning off equipment and lights will make a dramatic difference. Take inspiration from France, who banned offices and other public buildings from leaving lights on after everyone has left the building. This law saves around 250,000 tonnes of CO2 each year. In addition to switching off at the end of the working day, save power by switching to LED lights. Each LED light is approximately 80% more efficient than incandescent and fluorescent lighting. Zero waste can be a difficult goal for all businesses to achieve. Zero waste requires innovation, creativity and determination. While not all businesses can achieve zero waste, they can reduce waste significantly. The first place to start is understanding all areas of waste within the business and coming up with ways to reduce or eliminate it. Waste that cannot be eliminated should always be recycled. Business recycling in many industries is necessary to meet legal obligations and compliance. Using recycling schemes will also help to enhance your company’s corporate image. 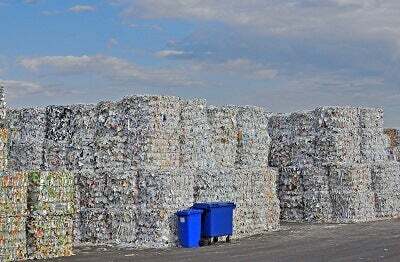 Recycling will also reduce waste management and handling costs, and help to reduce landfill demands. In the office, waste can be reduced by switching to digital. Provide your employees with a plethora of efficient digital tools and encourage a paperless working environment. Is there really a need to print off copies of emails or agendas when documents can be easily shared and stored digitally? Introducing recycling bins for different materials is another simple step to take. 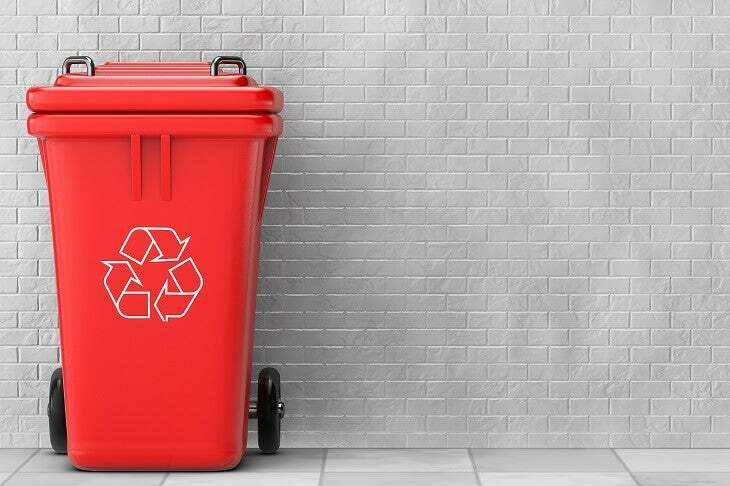 Showing your business cares for the environment through recycling gives customers confidence in your business ethics and increases their loyalty. It’s a great way of gaining an advantage over competitors, winning new customers and contracts too. Furthermore, in many cases, recycling products uses less energy than creating products from their raw materials. Using appliances which have the ‘Energy Star’ service mark will help to reduce the amount of energy your business uses, and your annual costs. Older equipment is often far more inefficient than modern alternatives. When replacing old equipment, it is equally important to try to recycle the items rather than seeing them end up in a landfill site. You may also be able to donate the parts or the entire appliance to a worthy cause. What type of waste management do you need? The business commute is horrendously harmful for the environment. Encourage employees to walk or cycle to work, offering benefits for those who leave the car at home. Car sharing should also be encouraged along with the use of public transport. Allowing employees to work from home is another option to consider. Obviously, this isn’t possible for many positions, but there are plenty of roles where working from home is suitable. Remote workers reduce the amount of energy your business uses, removes the commute and has been shown to improve productivity in employees. It’s also beneficial for modern life, allowing flexible hours for families. Work to reduce the amount of face to face appointments you hold. These days there are excellent tools that make meetings seamless even when attendees are in different locations. Skype is a classic tool that is commonly used but meetings can even take place via Facebook. Try out a few of the tools and find ones that work for your business. It’s advisable to become familiar with a few options in case clients have a preference of their own. Green procurement is an area in which efforts need to be concentrated. When purchasing products or services, aim to find and use ones that are eco-friendly. Seek out partnerships with businesses that have strong green policies. Sustainable procurement reduces waste, saves money and can enhance a business’ reputation. The supply chain may require a complete overhaul. The initial costs might be intimidating, but the long-term benefits are worth the investment. Your staff will require further training and you might need to take on new employees with the skills that are missing. Look at ways of reducing packaging used in your business. Pick suppliers that are keen to reduce the amount of paper and plastic used in their packaging but also lead by example. Ensure success with any of your new green policies with the assistance of a green team. Create the team by choosing one member of each department who can be used to relay messages and ensure targets are met. There may be a need to hire new employees along with the creation of green strategies and compensation packages. Choose web hosts with strong commitments to the environment. Look for suppliers that use renewable energy or who come up with ways of offsetting the carbon they use. Ask to read their green policies and see renewable energy certificates before you commit to using their services. These are just a few examples of how businesses recycling and adopting green policies is possible. If you go all in, the benefits will be felt throughout your organisation. However, a difference can still be achieved by introducing small changes. Money will be saved, new customers will be attracted to your business and current customer loyalty will be increased. Create a mission statement, share your green practices and targets with the world and let everyone know about the changes. Confidential waste disposal: what are your options? Illegal waste disposal in the UK: how clean is your area?